Dr. Jennifer Jackman (Associate Professor of Political Science at Salem State University, MAPP Adjunct Professor, and MAPP ’05) and Ren Bettencourt (MAPP ’16) presented a paper on “Seals, Conflicts and Public Policy: A Study of Voter Attitudes Toward Seals on Nantucket” to over 200 participants in the Conservation track at the Society for Marine Mammalogy’s Biennial Conference in Halifax Nova Scotia on Tuesday, October 24. Dr. Jackman led an interdisciplinary, multi-institution research team that surveyed voters, anglers and tourists about their beliefs, attitudes and experiences with seals. Ms. Bettencourt, who worked on the project as a graduate research assistant for her 2016 MAPP externship, played a critical role in the study and continues to be involved in developing manuscripts and planning future data collection as a research associate for the Human Dimensions of Wildlife Unit of the Bates Center for Public Affairs at Salem State University. Professors Michelle Sweeney and Katharine Bloom of Salem State University, Dr. Allen Rutberg of Tufts Center for Animals and Public Policy and Dr. Jerry Vaske of the Human Dimensions of Wildlife Unit of Colorado State University – Fort Collins also were a part of the research team. In their presentation, Dr. Jackman and Ms. Bettencourt shared findings that indicated that voters, anglers and tourists agreed that the top priority for seal management should be the ecosystem. All three stakeholder groups opposed lethal management and favored non-lethal interventions to prevent seal-fishery conflicts. They also overwhelmingly favored the rescue of stranded and entangled seals and the Marine Mammal Protection Act. 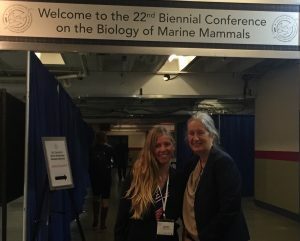 The results of the research also have been presented at the Marine Mammal Commission Annual Meeting in Woods Hole and the New England Political Science Association Annual Meeting in Providence, RI. 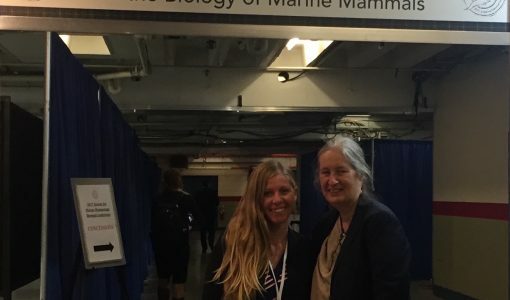 The seal survey was funded by the Elizabeth A. Lawrence Endowed Fund, Salem State University and the American Political Science Association Small Grant Program.